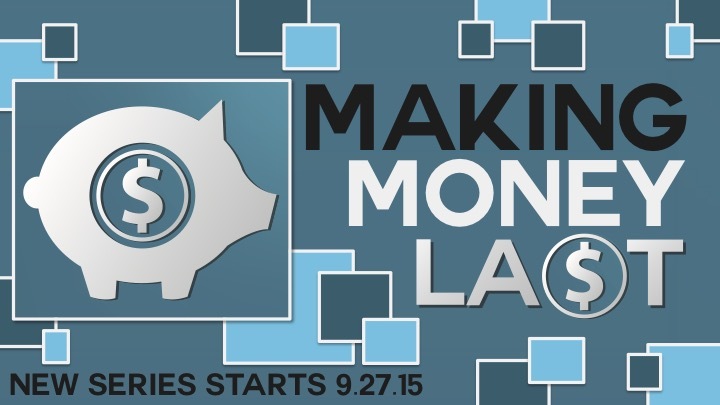 New Series – Making Money Last | The Exchange | Get Life. Give Life. Life costs money, and it never seems we have enough. Society tells us 100 different ways to make our money last – save, invent, use a financial advisor, don’t overspend, and the list goes on. But how can we really make our money last? In this three-week series beginning Sunday, September 27 we will dive into the truth of Scripture to see what God actually says about how to make money last. Join us for the Gathering each Sunday at 9:15 or 11:00.